We make food that creates memories for you and your guests. Milagros Private Kitchen hosts intimate gatherings served directly by chef Al in the comfort and seclusion of our private kitchen. Choose from our Set Menus featuring specialties from heirloom recipes and enjoy a unique home-cooked dining experience dining al fresco in Tagaytay’s lovely weather. surroundings. Filipino-made designs as well as the family’s personal elements accent the gentle color palette and the simple décor of the Milagros’ private kitchen. Our ingredients are handpicked by our chef from local markets to deliver a personalized menu. Dine and celebrate with family and friends while enjoying the privacy set by our exclusive venue. Call us today to reserve for your special occasion. 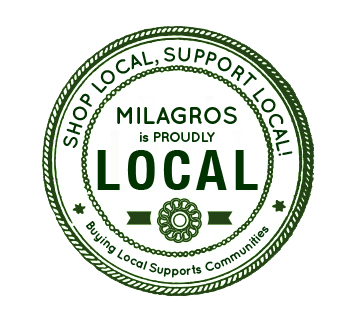 A graduate of the Center for Culinary Arts (CCA) for Culinary Arts and Kitchen Management, chef/owner of Milagros Private Kitchen Al Lazaro III has been cooking professionally for over 18 years. his passion for cooking having been influenced early on by his grandmother and mother. Passionate about creating dishes which not only provide sustenance but also create an experience for those who eat them, chef Al prepares his food with fresh, locally sourced ingredients and heirloom recipes to share his flavors of memories and celebrations with our guests.